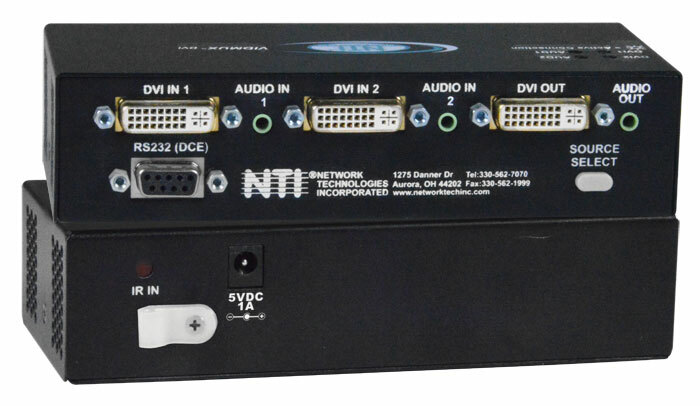 The VIDMUX® DVI/HDMI video/audio switch enables one DVI/HDMI display and speakers to be switched between two single link digital DVI/HDMI video sources. Control via, infrared remote (IR) control or optional RS232. How to share one DVI-D/HDMI monitor among multiple video sources.